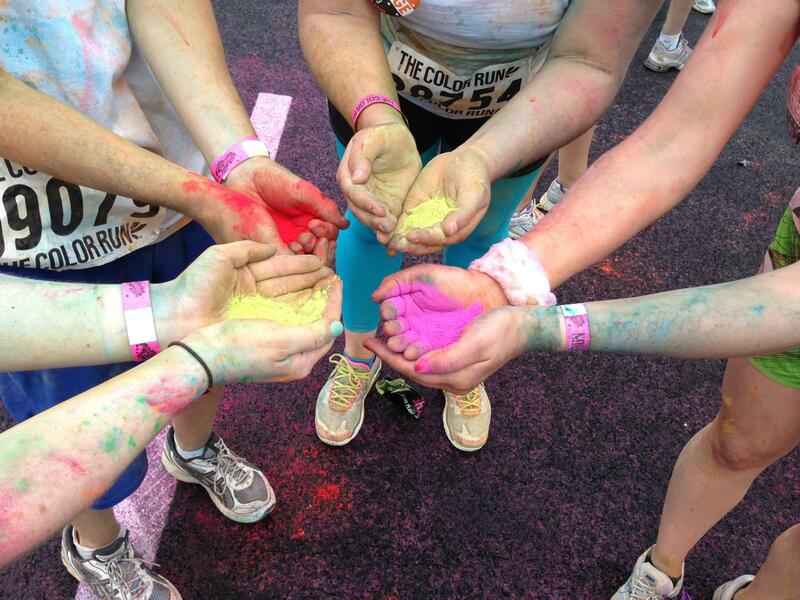 Looking for a fun run to add to your list of races? 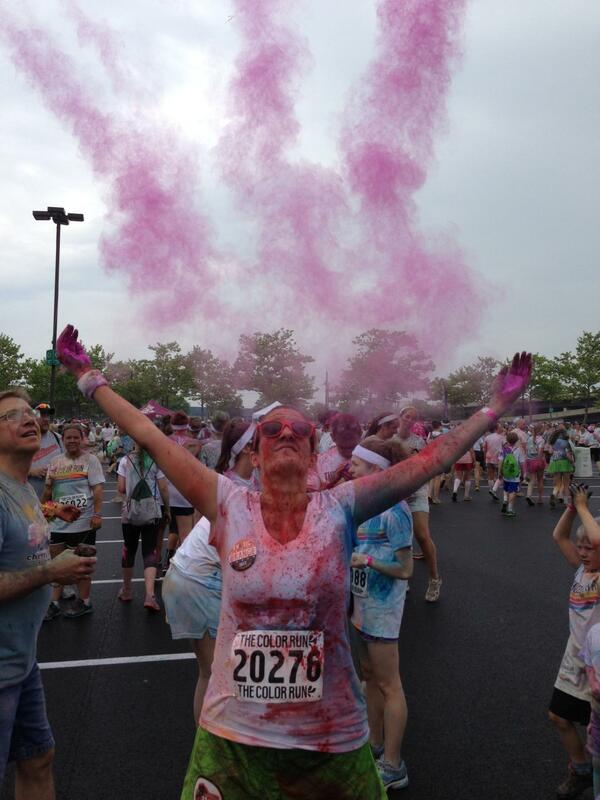 The Color Run is the perfect run for runners and walkers of all ages. The race is short — 5K or 3.1 miles. There are five color stations along the way. 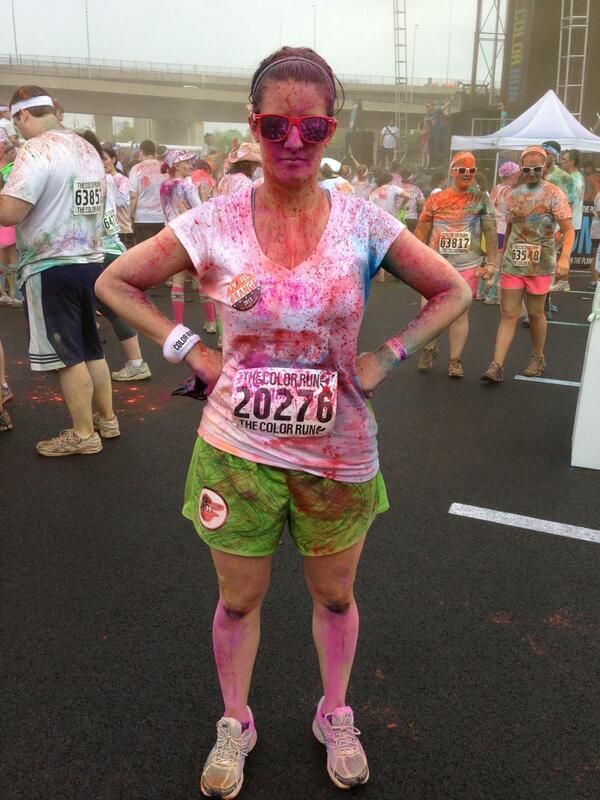 Color stations are spots along the race where race volunteers take colored corn starch and spray you with it so that you get extremely colorful. Thousands of people run and walk this race so you will always find someone to run alongside of. 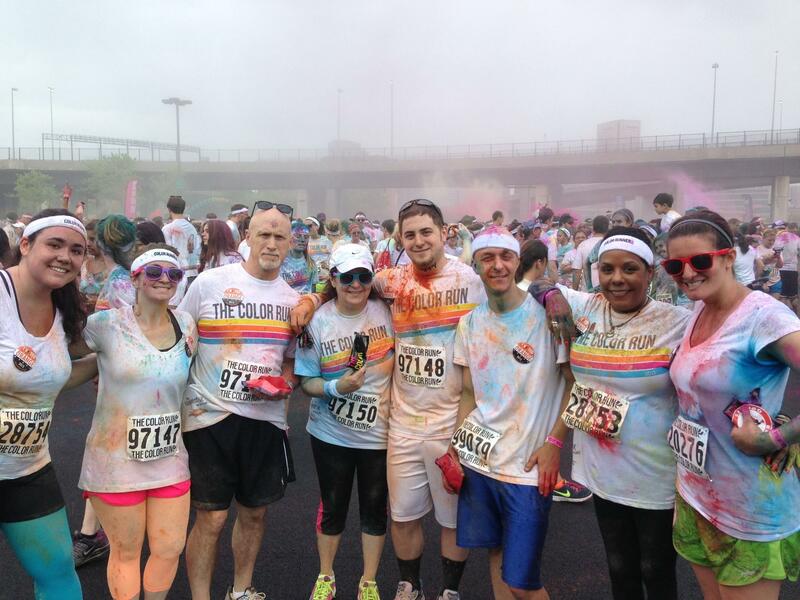 I ran the race in Baltimore with a bunch of work friends. 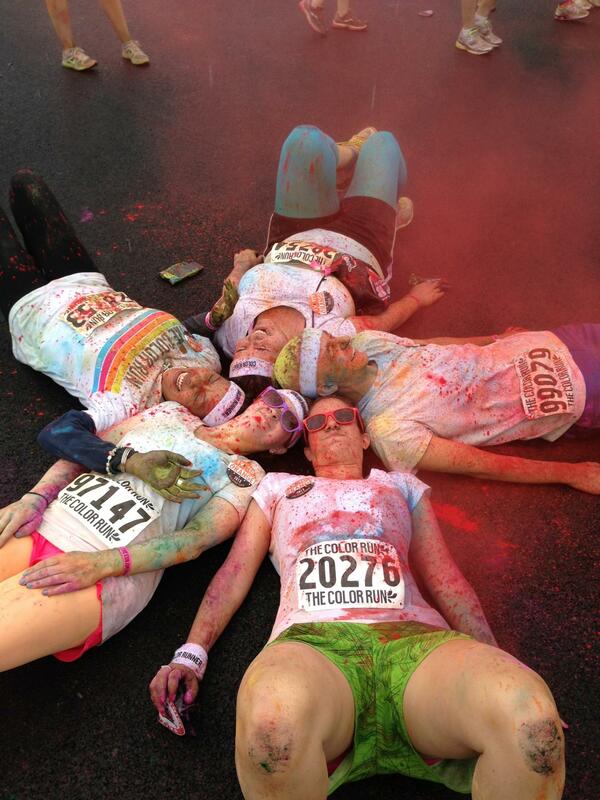 (Friends always make running more fun!) 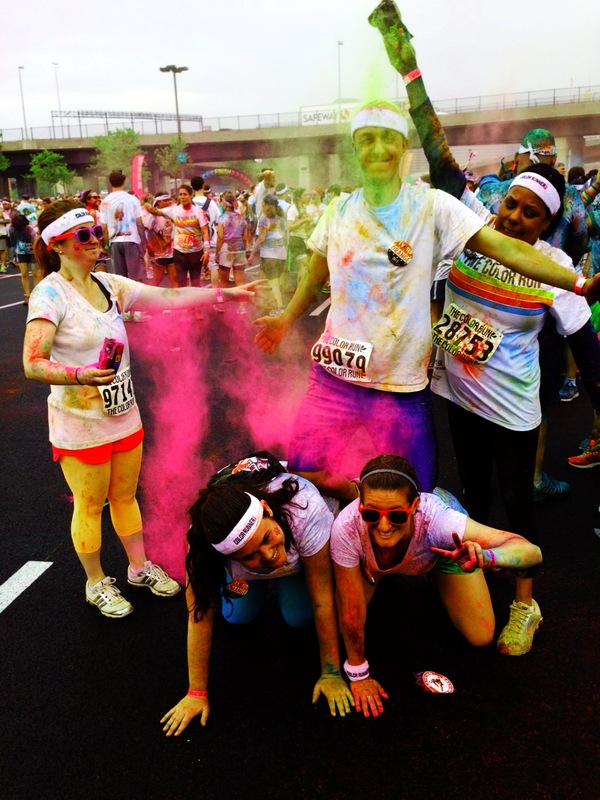 As you can see below, we all wore white t-shirts so that we could get the shirts colorful. 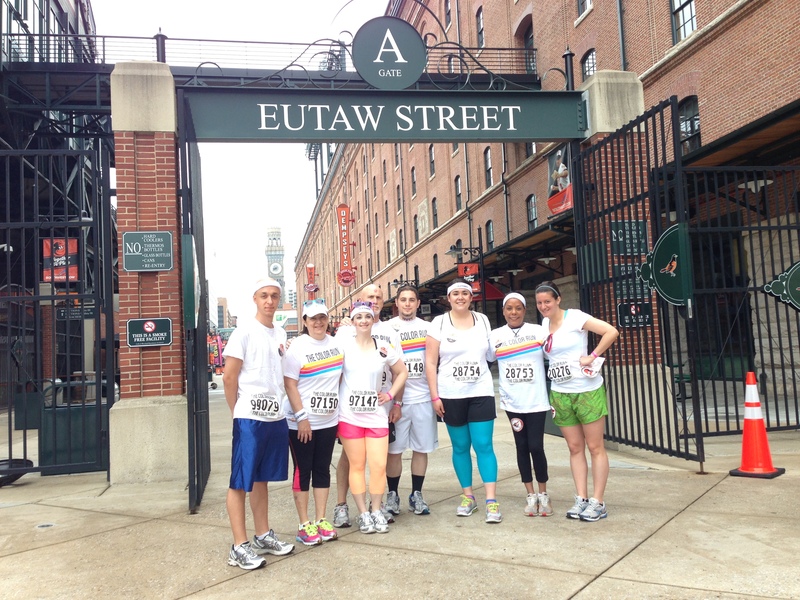 The Color Run Baltimore course started between Oriole Park at Camden Yards and M&T Bank Stadium. 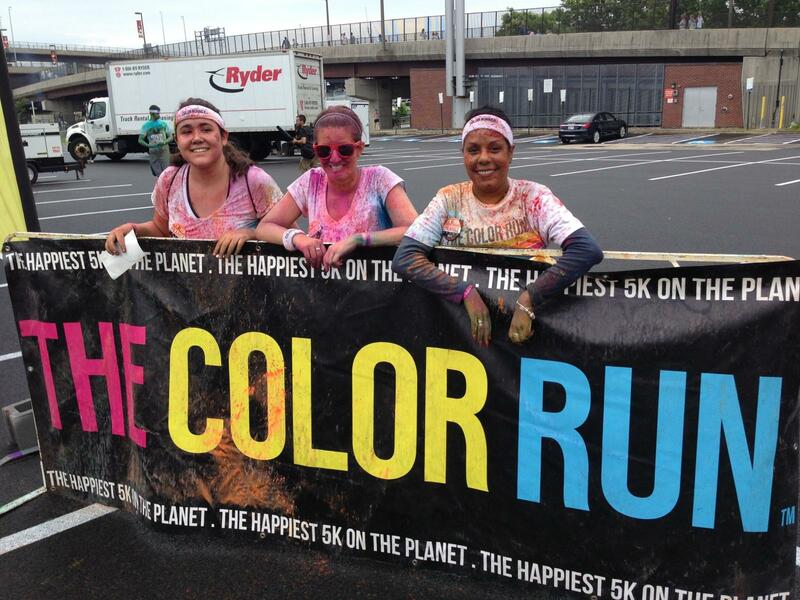 The course was around Oriole Park, M&T Bank Stadium and through the parking lots near the stadiums. 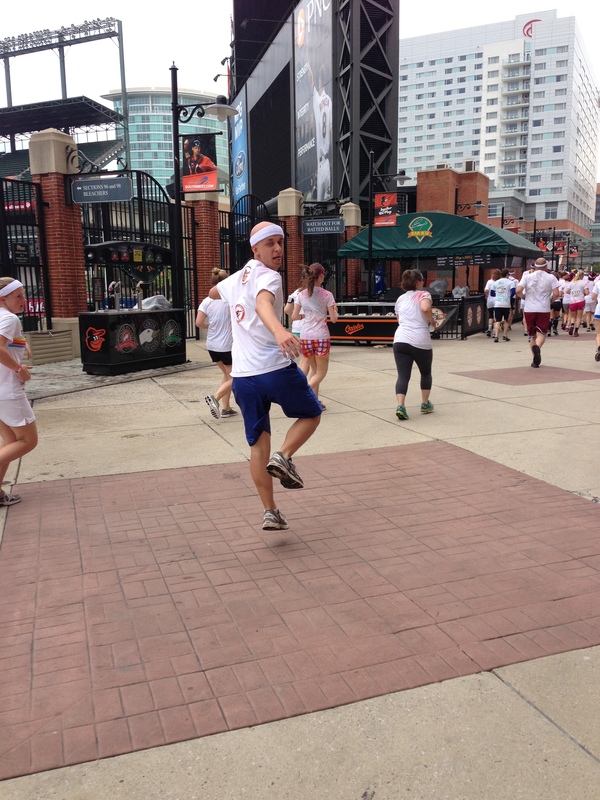 Here you can see my friend “fun running” down Eutaw Street inside of Oriole Park. 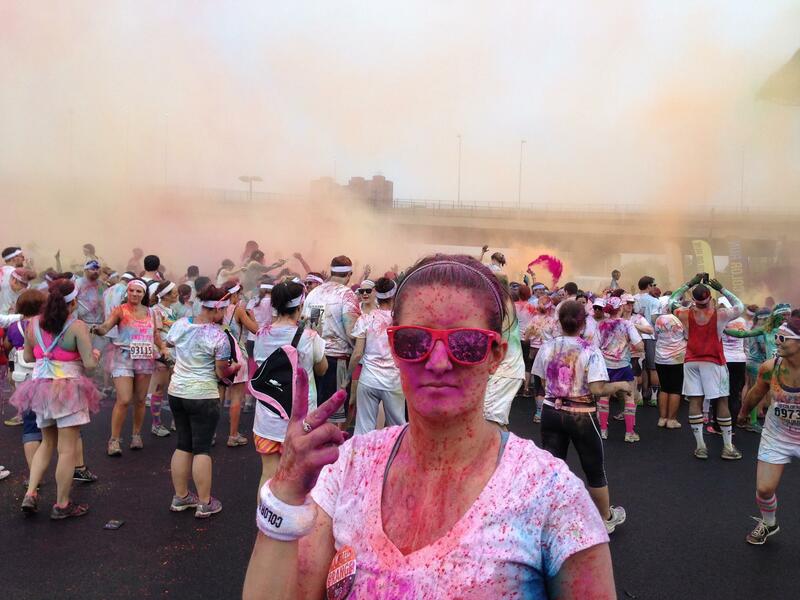 During the after party the MC on stage will get everyone together and they will ask you to get your packet of color. Then he or she will count to three and everyone will throw their color up into the air like Lebron does powder before each game. Check me out “Lebroning” my color. A new friend made it rain red on us! Our group after the race. All in all, this is a fun run for people of all ages and of all athletic abilities. They do not keep time so this is a great first race for people just getting started. It is fun, people are happy, you will truly enjoy yourself. AND your race dollars go to charity! 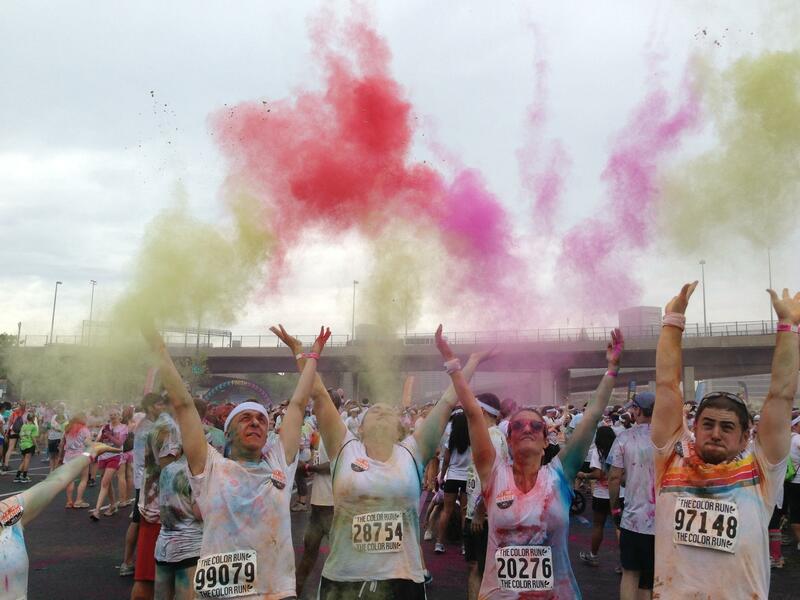 So get out there, get colorful and HAVE FUN!